I’ve co-written the script for BAFTA’s ‘Films in the Frame’ programme with Brona C Titley. 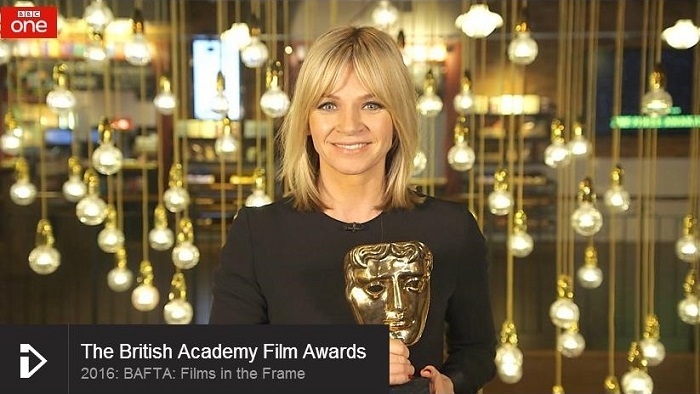 Presented by Zoe Ball, the show previews the main contenders for the BAFTA Film Awards 2016, as well as taking a look at the big stories from the last year in the world of movies. I’m also co-writing material for Zoe Ball’s BAFTA red carpet and backstage interview shows on awards night.